If you have a SNES editor that is 100% legal for people to make legit games out of then people can release their works on Steam and such. Currently you can't release your Super Mario World rom hack on Stream and earn profits off of it as far as I understand. The only real way to know if people are interested in your SNES homebrew engine is to make it and see if it gains a following. Who knows what the future holds. But I do know one thing........ if you build it......... they will come!!! I still want to have an eventual SNES version of Nova the Squirrel for its own sake, and a SNES version of the engine would come out of that as a necessity. The bigger thing is probably how much time gets spent on making it friendly, but no matter what you're going to have to get your hands dirty with assembly if you're not just building new levels. It's definitely not going to be NES Maker to any extent. One thing that I'll have to figure out if people actually end up using my code is how to keep assets separated from code for GPL reasons, though the preferred situation would just be if everything was as open as my own game is. The most ideal solution would be if there ended up being a repository of block and sprite types, graphics and music, and other modifications/assets, where you could plug those into your game just like in SMW. I want to put an emphasis on the FREE aspect of this hacking scene. Everything is essentially FREE. This means that the entry bar so to speak is very low. Anyone can download the tools and get started right away. Even non-hackers can download and enjoy playing the games. Let's say that you have some kids in intermediate school (before high school) and they don't have jobs yet so they don't have much money, SMW hacking might be ideal to them. You don't need a high end computer to run the software and you don't even need to own the actual original hardware or a clone console. You can run it all with an SNES emulator on your laptop. I'm expanding the level sandbox into a full level editor, which will just launch into the old sandbox if it detects SNROM instead of SXROM. Right now you can save and load four level slots and you can change the level layouts in an environment where you can go from block placing to/from playing immediately. I'm gonna try to add sprite placement next. I'm trying to think of a way to take advantage of big CHR RAM but I can't think of anything except making unpausing faster, because as-is it has to decompress everything again. Probably not going to pull a SMB2 here. Probably not going to pull a SMB2 here. You mean you're not going to make a sequel that's mostly just harder levels? Or perhaps you meant use most of the CHR RAM for tile rotation, as SMB2:MM and SMB3 do with their CHR ROM. 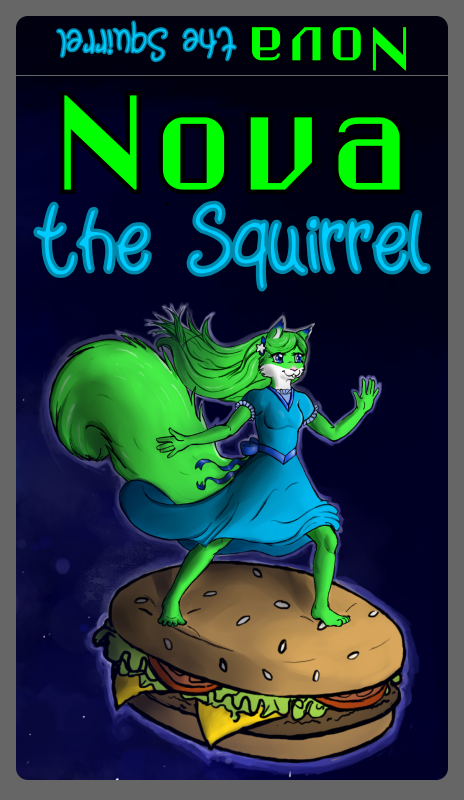 What would really be cool in my opinion is to make a Lunar Magic like program to edit your Nova the squirrel game and allow people to use it an order to make new homebrews for the nes. Using Nova as a game engine or some sort. It could be free or paid, whatever works for you. I got NESmaker, but I don't like making all of my own assets. I just want to drag and drop stuff into a level and play it. They already can. The game's source is on GitHub under a GPL license, as well as a second repository that was supposed to end up a more generic base you could start a platformer project from, and the PC level editor is very Lunar Magic inspired. It just turns out making tools isn't fun for me though, and doing lots of free tech support (if things got popular) sounds significantly less fun than that. Super Mario World's already filling that niche really well and the only thing I'd add if I spent all the necessary time to get things up to that level is just that your game would be legal to distribute which I don't think people care about too much. Maybe I'll write out a tutorial for using PrincessEdit at least. I'm hoping the in-game editor will be nice for people who just want a Mario Maker-esque experience too. So far the level layout editor and enemy placement editors seem to be 95% there, probably. Now I need to finish up whatever last bits I want to have in there, test it, and probably figure out what other content I can add (easter eggs and such). 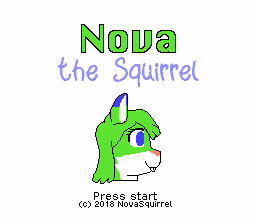 While in the final game you'll have to beat the game to unlock it, here's a copy of Nova the Squirrel where the level studio in "Extra features" on the main menu is unlocked from the start so anyone who wants to try it out can. Requires an emulator supporting NES 2.0 like Mesen, as this game now uses SXROM (but will fallback fine if played as SNROM). This ROM also has other improvements over the previous build, mostly just adjusting music pitches and speed if played on a PAL console and some minor fixes. A new build is out, and the list of changes are there. New title screen! I wanted something more obviously feminine but I'm still not sure about the hair. I need to figure out how to draw good long hair.